Orange Pumpkin Loaf | And sometimes I cook. My mother-in-law gave this to me from All Recipes. It was submitted to their website by Carol. 1. Heat oven to 350. Grease a 9×5″ bread pan. 2. Cut orange into wedges & remove seeds. 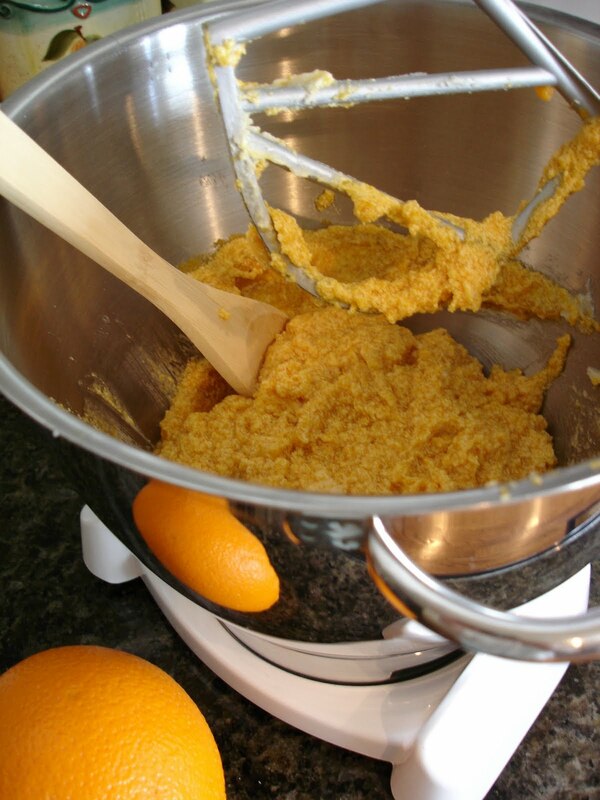 Place orange, peel & all, in a food processor. Pulse until finely chopped. Set aside. 3. In a large bowl, cream butter & sugar until smooth. Beat in the eggs one at a time, then stir in the pumpkin, water & the ground orange. Mix together flour, baking soda, baking powder, salt, cinnamon, & cloves. Stir into batter just until moistened. Stir in nuts & raisins. Spoon into the prepared loaf pan. 4. Bake for 1 hour in the preheated oven, or until a toothpick inserted near the center comes out clean. Let stand 10 minutes, then remove from pan. Cool on a wire rack.